I had the most AMAZING experience last week at our Rising Tide Society Leader Retreat in New Orleans, LA!! RTS leaders from literally all over the country came together for 2 days full of listening to the most inspiring speakers, making new friends, & learning more about how each of us can serve & love our communities better. 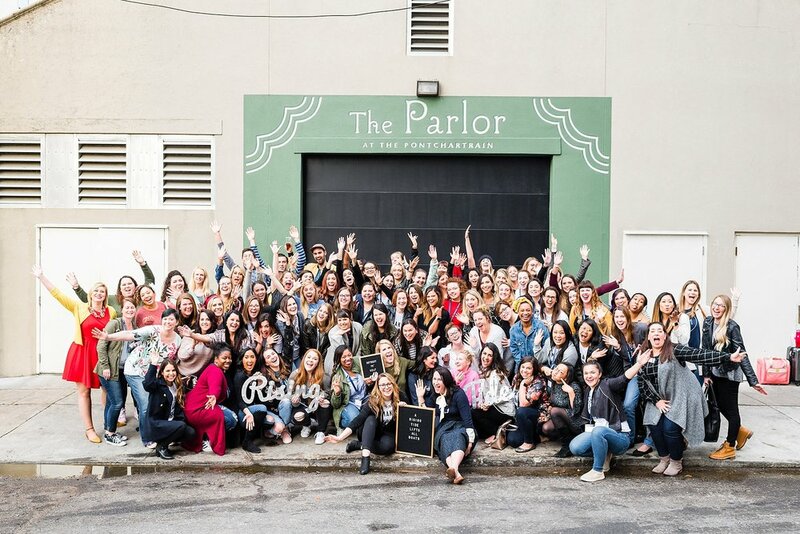 For those of you who are not familiar with the Rising Tide Society, it began a few years ago with several meet ups in cities across the country, all for the purpose of building relationships within the creative community. Now, there are over 400 gatherings on the second Tuesday of each month, known as Tuesdays Together, where creatives meet in the spirit of community over competition to encourage one another & help each other grow. 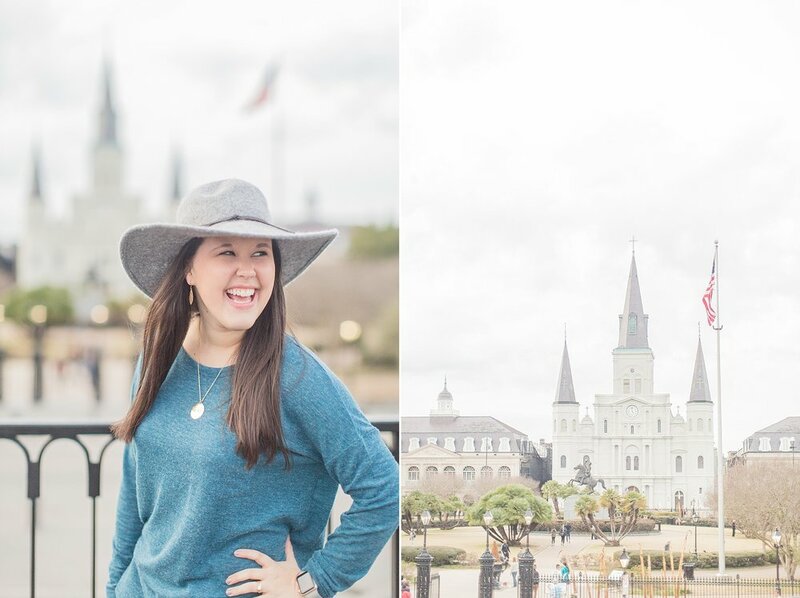 I have the privilege of co-leading our Jackson, MS group with my sweet friend Amelia, & we have loved getting to build community among other photographers, artists, & shop owners in our city! I'm so thankful that I got to attend this year's leader retreat & come home with so many ideas for how to make our meetings even better for our members! Of course I was SO excited when I found out that this year's retreat was in one of my all time favorite cities!! New Orleans is always so much fun to visit, & it was even more fun this time as I was able to show my new friends around since most of them had never been to NOLA before! I got to stay in the most beautiful Airbnb with 10 of the sweetest girls ever!! It was so cool to see that even though none of us had ever met, we bonded instantly! We're even planning on all staying together again next year!! Thanks so much to our friend Allie for coordinating the house & making it SUCH an awesome part of the retreat experience for all of us! I want to give a huge thanks to Natalie Franke, the co-founder of RTS, for her heart to make this retreat happen every year, & to both RTS & Honeybook for all of their hard work in giving us such an amazing experience! Also, thank you to TravelBank & Weebly for sponsoring the retreat!! I'm so excited to share some pictures I took (mostly on my iPhone & some with my "real camera") so you can see why I loved this retreat so much!! Of course my first stop had to be food related!! I got to have lunch with my friends Anna & Noah at Joey K's, & obviously I got the trio platter -- a shrimp poboy, jambalaya, & red beans & rice! Yum!! 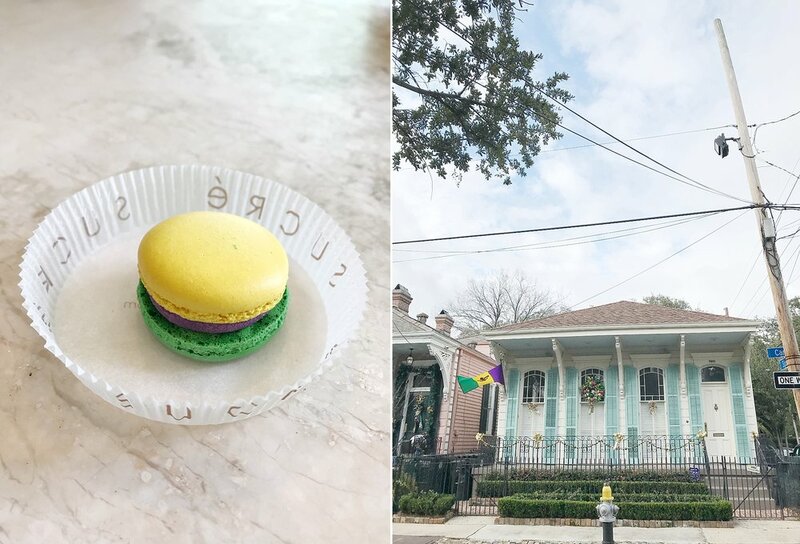 I got to try a King Cake macaron at Sucre, & it was delicious! Loved this cute house, those shutters are my fave color!! I loved all of the beautiful details the Rising Tide/Honeybook team put together!! It was so fun getting to hang out with the Memphis RTS leaders, Dorothy & Sarah!! We're so thankful for our awesome leader, Natalie!! Day 1 of the retreat included getting the cutest gifts & hearing from so many amazing speakers including 2 of my all time favorites, Natalie Franke & Mary Marantz!! If you know me at all, you know I was taking ALL the notes!! 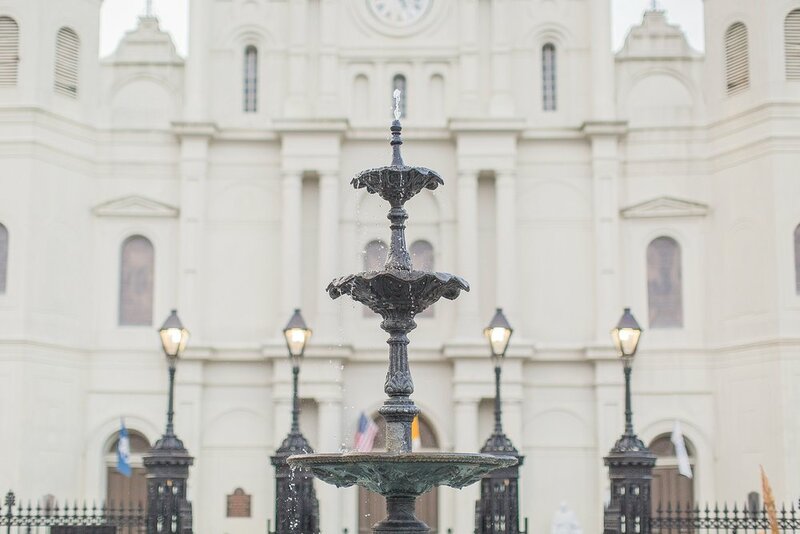 That afternoon, a group of us from my house explored Jackson Square, & I actually took some "real" photos!! It was so fun!! Day 1 ended with a Masquerade Ball on the rooftop of the Pontchartrain Hotel!! Thanks so much to TravelBank for sponsoring the party! Day 2 began with a beignet breakfast thanks to Weebly! We got to spend time in small groups discussing ways to improve our monthly meetings as well as ways to serve our groups better!! I'm so thankful for this group of leaders! !